Video Presentations are most commonly used. 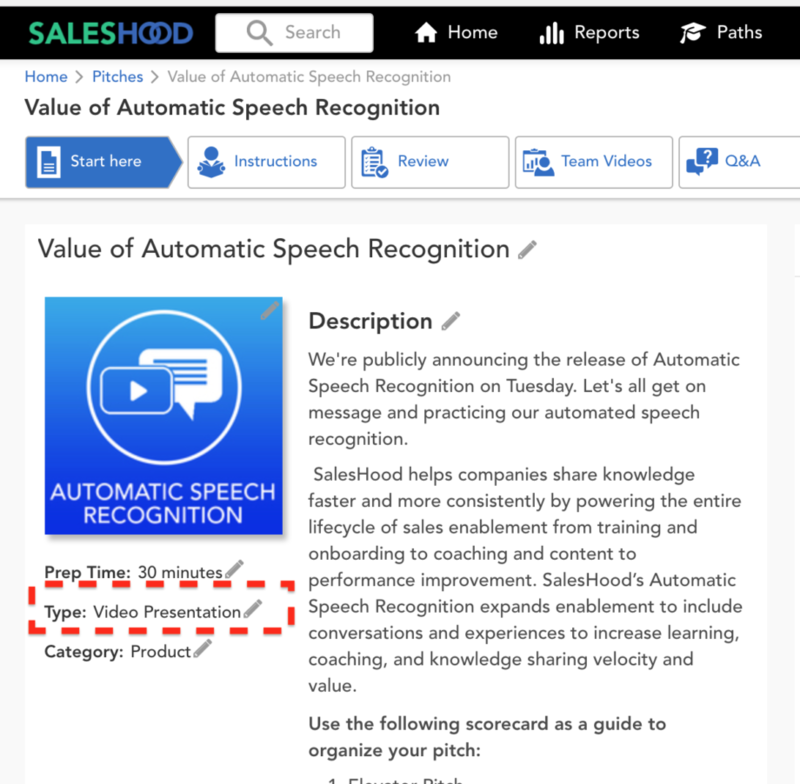 A Video Presentation Pitch is when participants are expected to use their mobile devices to record themselves giving a pitch, product demo, or any sort of video that needs certifying on. Step 1: You must first create your Pitch. To learn how to create a pitch, please click here. Step 3: If you’re trying to change the pitch type, click on the [pencil] icon next to the Type. A pop-up menu will appear in which you can choose between Video Presentation or Slide Presentation. Choose Video Presentation from the options. Click OK when finished. Participants will now record themselves talking while facing the camera for their pitch.